My family love banana bread, they also really love nutella. So, when I came across this recipe, I knew I had to try it. It was a huge hit. Everyone loved it. This is really easy to make, takes about 10 minutes to mix together. You do need to use really ripe bananas, I tend to always buy extra bananas so that I have some to go overripe, then I freeze them until I need them. I have found I need 3 large bananas to make 1 1/4 cups mashed banana. Give this a go, your family will love you (even more) for it. Preheat oven to 175C. Grease and line with baking paper a 11.5cm x 21.5cm (base measurement) loaf tin. In a large mixing bowl add the softened butter and sugar, beat until light and creamy. Add eggs, one at a time, beating well after each addition. Add the mashed banana, milk and vanilla extract, beat until well combined. Add the flour, bicarbonate of soda and salt, using a spoon, mix until just combined. Do not over mix. In a medium bowl add the nutella and 1 cup of the banana mixture, stir well to combine. (You can heat the nutella in a microwave for 15 seconds before adding the banana, I don't do this, as I don't have a microwave, but you can, to soften the nutella). 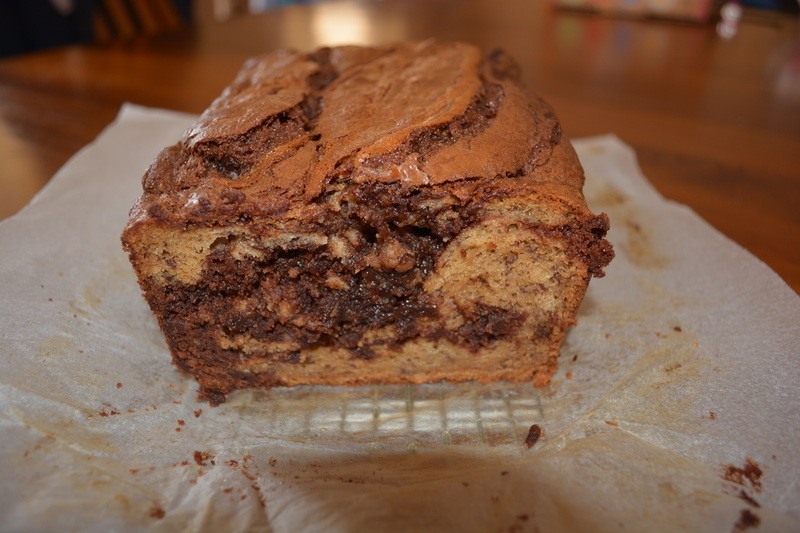 Add alternate spoonfuls of the nutella mixture and the banana mixture into your prepared loaf tin. 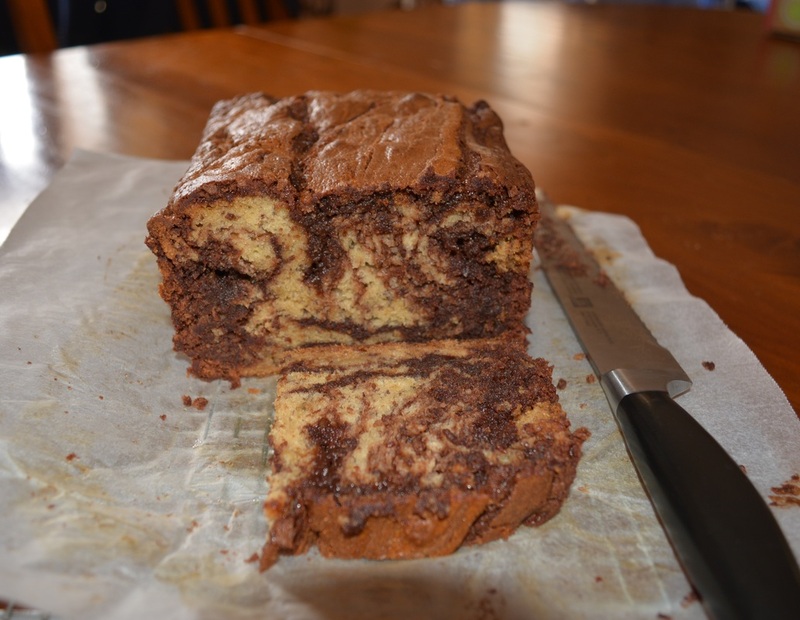 Once it has all been added, use a knife to swirl the mixtures together, do not over swirl. Bake for 1 hour or until it feels baked and a skewer comes out clean. Allow to stand in the loaf tin for 15 minutes, before placing on a wire rack to cool completely.